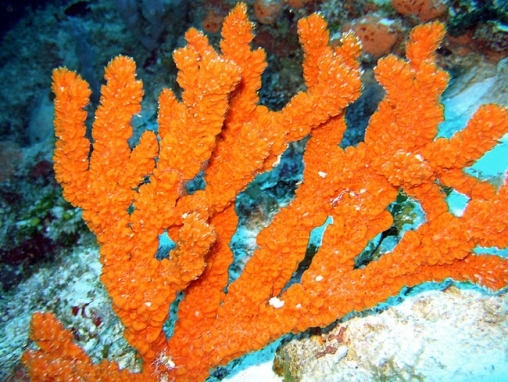 A bright orange, branching sponge, with a very rough surface. In some localities, it is reddish. 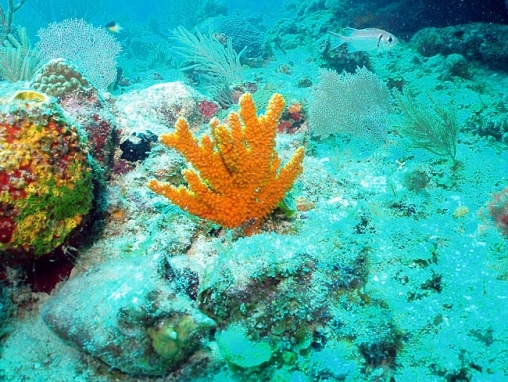 The surface is covered with conical projections, or spicules.